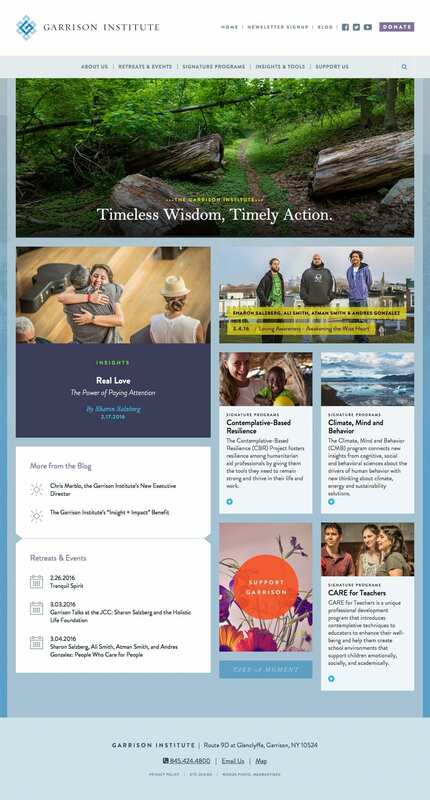 The Garrison Institute is a not-for-profit non-sectarian organization exploring the intersection of contemplation and engaged action in the world. The team at Hairpin led the strategy and design for the project. Pilotmade built the site in WordPress, including integration with a backend event registration and donation CRM system.